Named a 2007 Book of Distinction by the Sir John Templeton Foundation. The special edition of this award winning book celebrates the 200th birthday of Charles Darwin. Since, even before, the publication of Darwin's seminal work on evolution, science and religion have often been at odds. Even today culture wars continue to rage. How can I be faithful to God and fully enjoy the progress of science? Who is Charles Darwin and what did he actually say? Can you believe in God and evolution? Does teaching evolution corrupt our social values? How can you connect science and faith? Can science be a Christian vocation? So how can we interpret the creation story in the Bible? 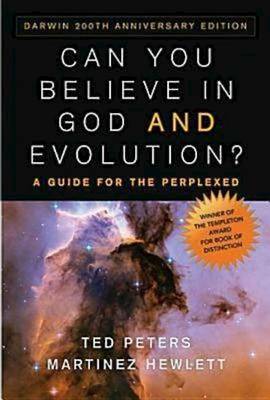 Authors Ted Peters and Martinez Hewlett give a balanced discussion of the impact of evolution to help church leaders understand the values at stake. They make the convincing case that Christians can connect their faith in God with a scientific understanding of evolution with integrity.